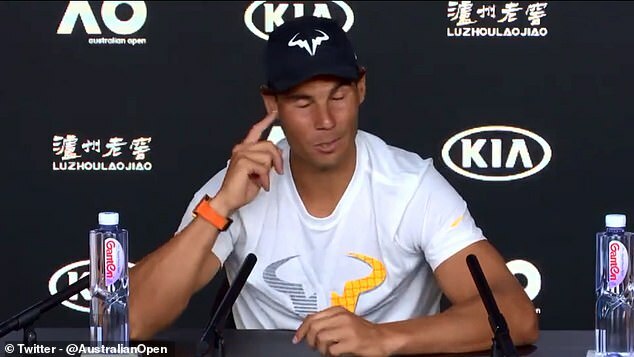 Rafael Nadal has poked fun at a journalist who appeared to fall asleep during his post-match press conference at the Australian Open on Monday. 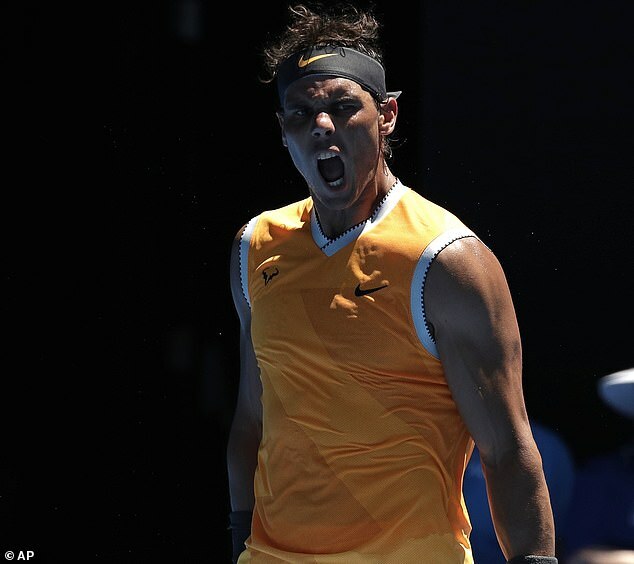 To most, the return of Nadal was an exciting way to start the tournament, with the Spaniard returning to the biggest stage for the first time since last August. For one journalist, though, it appeared to all be too much… but there was no way Nadal was going to let him get away with it. While another journalist asked a question, Nadal spotted the sleeping man and began to laugh, prompting other people in the room to join in. The Spaniard then caused more chuckles as he noted: ‘It’s not interesting today,’ which abruptly woke the journalist from his slumber. 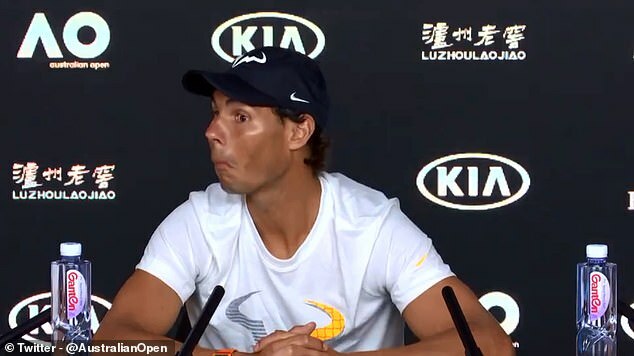 ‘I know, you were closing your eyes to be more focused on what I was saying,’ Nadal then continued, as he made light of the embarrassing situation. 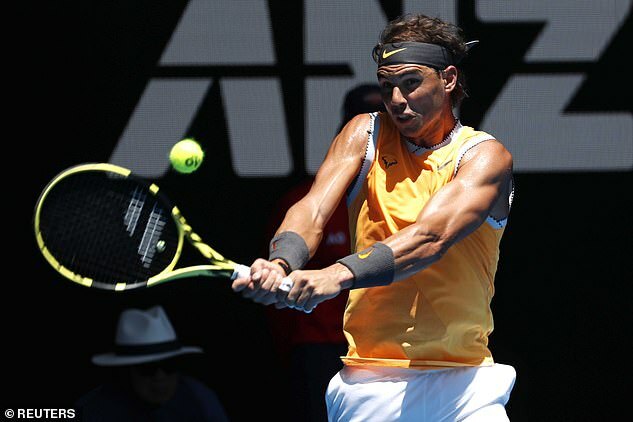 Nadal was in high spirits as he put his long-term injury worries behind him with a convincing straight-sets victory over James Duckworth in Melbourne. After an abdominal problem and ankle surgery ended his season early, he pulled out of the warm-up tournament in Brisbane last week with a minor thigh strain. 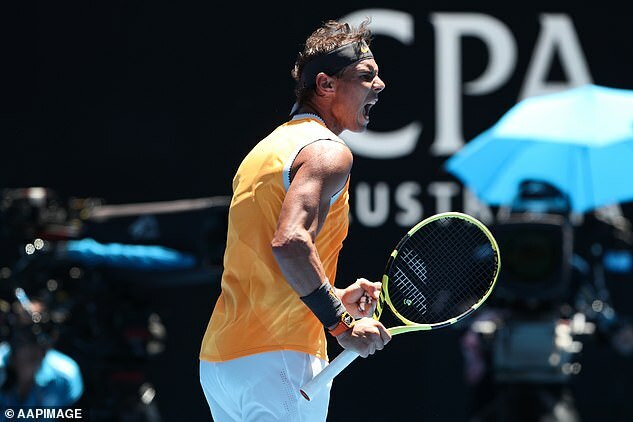 Nadal did not have things all his own way against Australian wild-card Duckworth, going a break down early in the second set and then being broken serving for the match, but he came through 6-4, 6-3, 7-5.